Anne Skole Overgaard / Camilla Rasborg / claus ejner / Heidi Hove / Jens Axel Beck / Mette Juul / Morten Jacobsen / Sonja Lillebæk Christensen / Thorgej Steen Hansen / Ulla Hvejsel. For the first time, the 10 artists that form Exhibition Space Sydhavn Station will collaborate on a joint exhibition abroad. 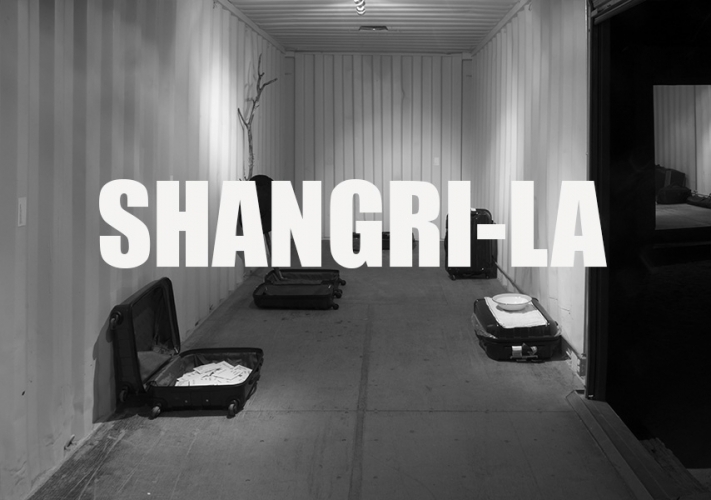 In the designated freight container at the SHANGRILA 2015: Peak Experiences, Exhibition Space Sydhavn Station will present 10 different artworks in 10 identical suitcases, lined up in two rows along the containers longest sides. 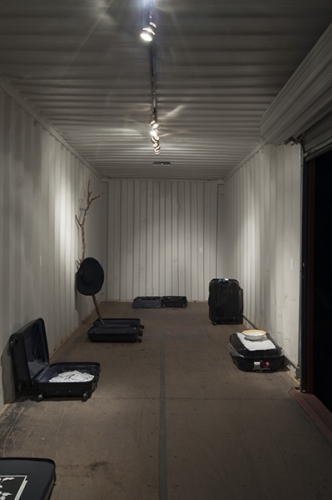 Each suitcase is the exhibition medium employed by the 10 artists. 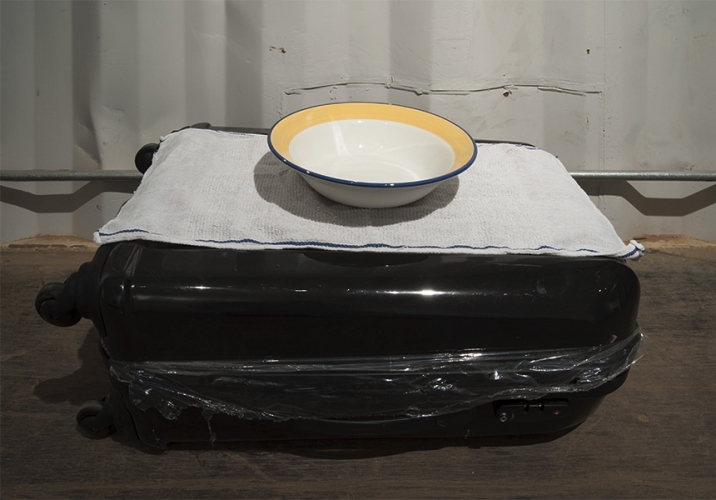 How the 10 artists individually utilize the limited space is unrestricted as long as they respect the airline limitations, such as the suitcase must not weigh more than 50lb. The projects framework is defined by practical considerations, which are dictated by the fact that we have to take on a long journey to reach our destination. As we see it, it applies to a general transport situation, which is inextricably linked with limitations and tied to economic considerations. As a result, we find one suitcase per artist, a reasonably viable option. We utilize said transportation constraints and make a virtue out of them. In other words, we embrace the transport problem and make it the framework of the exhibition. What was previously the ticket office of Sydhavn (South-Harbor) Station has now been transformed into an art space. Situated in a mixed residential area in Copenhagen, the exhibition space is only a 5 minutes train ride from the Main Train Station. Thus, allowing one to have the feeling of being in the suburbs, as well as the perception of being apart from the trendy stores and restaurants of downtown. 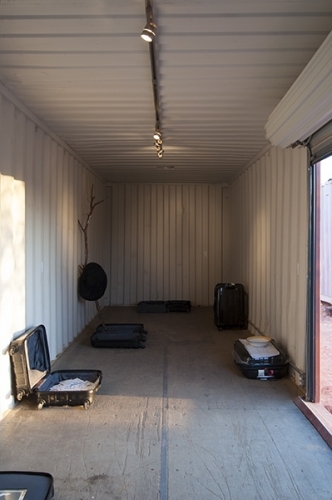 Exhibition Space Sydhavn Station was founded in 2012 by ten Danish artists and consists of two spaces of 538 sq. ft. and 86 sq. ft. and 15 poster holders located in the station foyer, which were originally used as advertising space. The exhibition space hosts 10-12 contemporary art exhibitions per year, in varied forms, such as solo and group exhibitions, poetry readings, concerts, performances, talks and events by artists from Denmark and abroad. 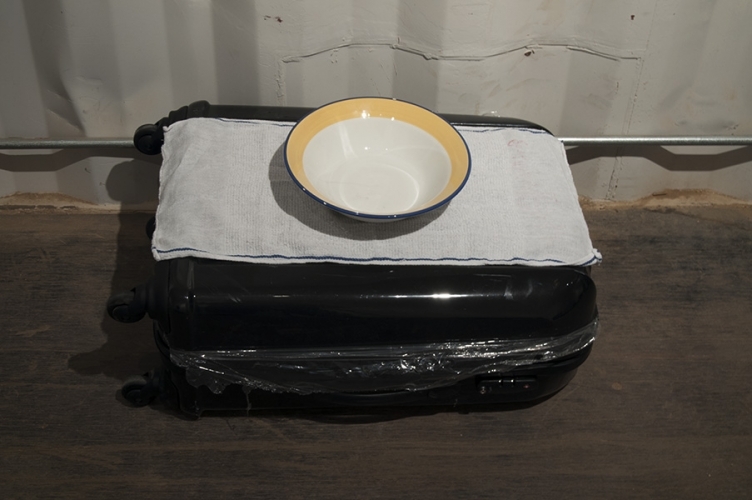 The exhibition space is established with a desire for the artist-run, DIY, and to build ones own unconventional platform. Sydhavn Station and its unpretentious location stand out as a statement of and in itself. 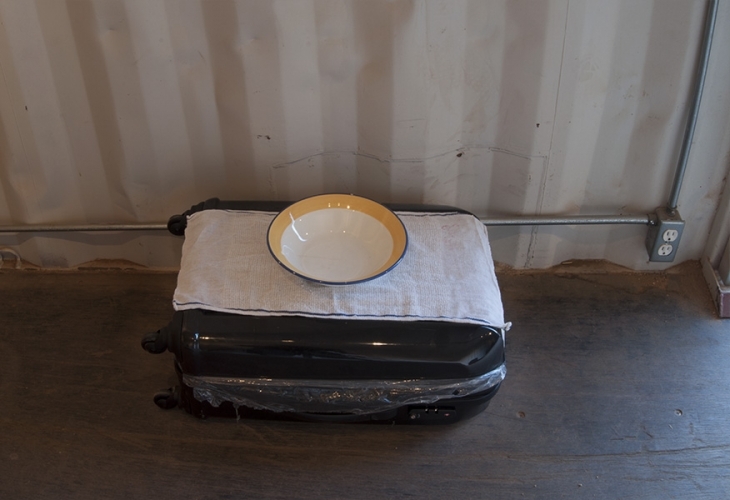 Taking on an aesthetic and physical distance to the professionalism, which appears to be the current style dominating the contemporary art scene of Copenhagen. The aim is to be persistent in creating a framework, where the established, are given a platform for artistic experimentation, where the rarely exposed are given a scene, and where the unobtrusive can be heard. Basically a platform, that operates in the gaps left by more traditional exhibition profiles. The aim is also to set up a scene where contemporary art can meet everyday people, given that the platform is located in an active public space. 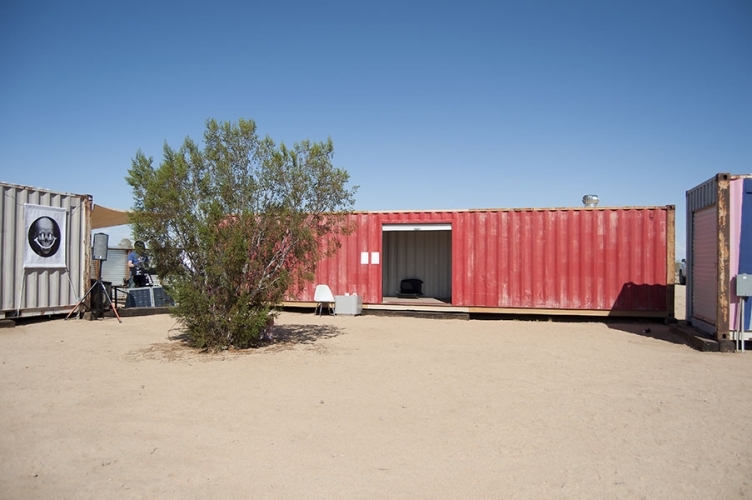 The artists currently running the space come from different backgrounds, both artistically and geographically. We all have different artistic approaches, which mirrors the varied exhibition program and the non-fixed profile of the space. Anne Skole Overgaard, Camilla Rasborg, claus ejner, Heidi Hove, Jens Axel Beck, Mette Juul, Morten Jacobsen, Sonja Lillebæk Christensen, Thorgej Steen Hansen, and Ulla Hvejsel.